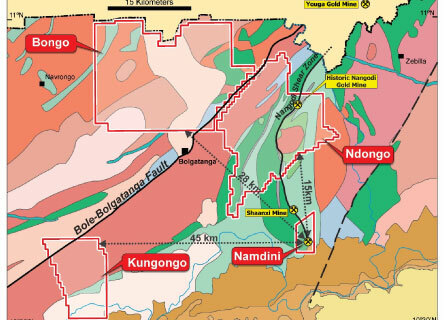 The Kungongo licence covers an area of 122km2 and is located 45km west of Namdini. The north-west of the licence area covers 6km of the regional Bole-Bolatango Shear Zone, which marks the contact between the Bole greenstone belt and the granodiorite intrusive, and which comprises a volcano-sedimentary package of rocks. No formal exploration had been undertaken prior to Cardinal’s involvement. 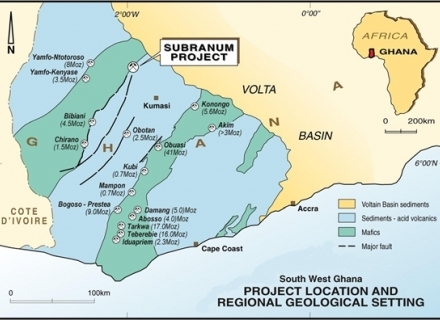 Historical work undertaken by the company includes auger-based soil sampling in the north and south of the licence area, with the northern area, along the main Bole-Bolgatanga Shear Zone, showing the most promise. The northern area has also been the subject of gradient array IP and ground magnetic surveys. 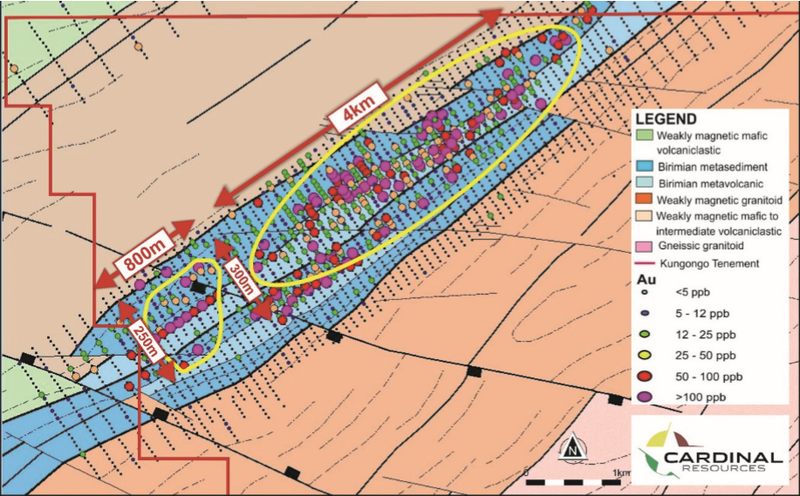 In August 2017 Cardinal announced that the auger drilling programme had identified two large-scale gold-in-soil anomalies (+100ppb Au) along the shear zone, the largest of which measured 4.2km by 300m and the smaller 800m by 250m. The company undertook a programme of 12 DD holes in late 2017. The stratigraphic and structural information provided by these DD holes, as well as assay data, is being evaluated. The drill core shows folded characteristics similar to that observed in the drill core from previously-drilled DD holes. The dips were found to be variable down each drill hole, varying between NW and SE directions, confirming that the strata are strongly folded, and the stratigraphy is complex. Current work on the licence includes a ground-based gravity survey to target future drill programmes.